N,N,N',N'-tetrakis(2-hydroxypropyl) ethylenediamine Suppliers, N,N,N',N'-tetrakis(2-hydroxypropyl) ethylenediamine Manufacturers. Product description: 1.CAS No. 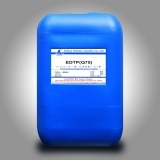 :102-60-3 2.MF:C14H32N2O4 3.Appearance: Clear colorless liquid 4.Assay: 75% 5.Application:It is solubled in water easily, its aqueous solution is weak alkaline, primarily used as complexing agent for chemical copper plating.